Do you already know what gifts you’re going to give this Valentine’s Day? Me neither. But I almost never celebrate it with gifts but with desserts or cookies. After having celebrated Christmas in December and then my wedding anniversary in January, I don’t feel like buying more gifts, but the need to bake something never goes away. 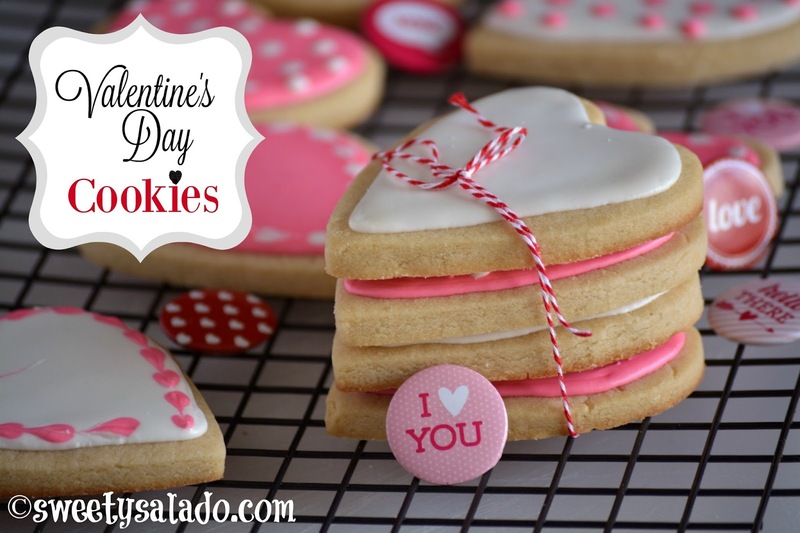 I shared with you the recipe for making sugar cookies last December and if you want, you can use it to make and decorate these heart shaped cookies. In fact, it is highly recommended (by me) because they’re definitely the best cookies around, without a doubt. The same goes for the royal icing, the recipe I have on the blog is one of the most practical and easiest to make. Besides those two ingredients, all you need is a pastry bag and a #2 or #3 tip or a small sandwich bag to decorate these cookies. Place the decorating tips inside the pastry bag and pour the royal icing inside each bag. 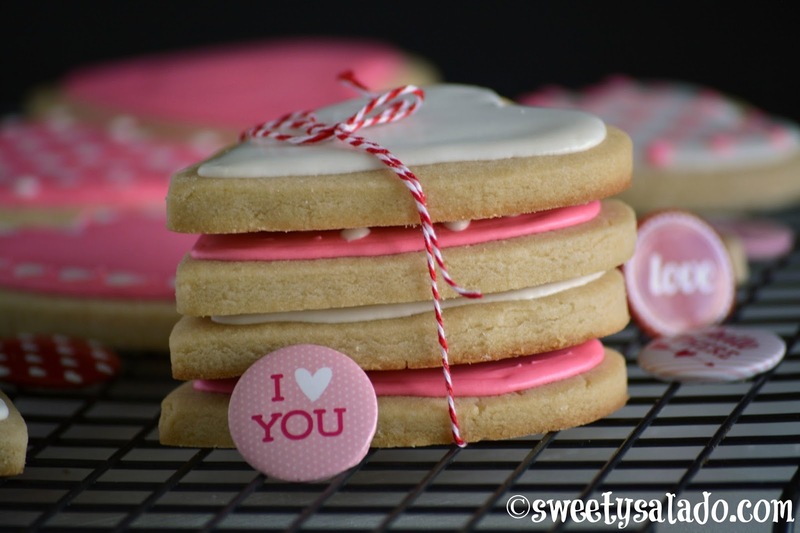 Decoration idea #1: Outline each heart cookie with the royal icing leaving a small space of about ¼ inch (6 mm) between the edge of the cookie and the icing. Fill each cookie completely with royal icing and cover the spaces with the scribe tool or toothpick. Shake gently and let it dry for several hours. Decoration idea #2: As soon as you fill out the heart with royal icing, place several small dots on top of it with royal icing of a contrasting color. Let it dry for several hours. Decoration idea #3: As soon as you fill out the heart with royal icing, place several small dots on the edge of the icing and around the heart. Then, drag each dot with a scribe tool or toothpick to shape each one into a small heart. Let the cookie dry for several hours.